Apple has a section on its website that deals with the environment. In determining how much "Greenhouse gas" its products produce, Apple has to determine how long, on average, its devices are used for by their original owners. The part of this section that caught our eye reads "Daily usage patterns are specific to each product and are a mixture of actual and modeled customer use data. Years of use, which are based on first owners, are assumed to be four years for MacOS and tvOS devices and three years for iOS and watchOS devices." In other words, Apple expects the original owner of the average iPhone to keep the device for three-years before it is re-sold or tossed. The same three-years of life with the original owner is expected for both the Apple iPad and the Apple Watch. As made clear on the website, Apple's data comes from the actual and modeled behavior of its customers. Apple has plenty of data to determine iPhone and iPad use, but with the Apple Watch just nine-days short of its first anniversary, the company doesn't have enough hard data and anecdotal evidence when it comes to the timepiece. If you're an Apple Watch owner, do you see yourself updating to the next model? If so, do you think it will be before or after three years have expired. what does that got to do with this article? iPhone 3GS - 4.5 years Samsung S4 - 1 month, bleh... iPhone 5s - Used it for 2 years but kept it still have since 2013 it as secondary camera (for videos) iPhone 6s - planned to keep until contract is over in October 2017 (at which point will sell the 5s and keep 6s as secondary camera). iPad 3 - 4 years, from May 2012 til today (going strong) My wife kept her iphone 5 for 3 years. Opposite. iPhone 4 a few months. S4 Since Oct 2013.
iphone 5, 4 months, iphone 6, 4 months. just because you kept your phone long doesnt mean everybody does. Galaxy S3 - 3 years Note 4 - 1 year (it was awesome, but the Note 5 caught my eye) Note 5 - current Prior to the S3, I was in a myriad of WM and Palm devices. So many I can't remember them all. I've owned quite a few other devices during this time (Nexus 4, Moto X, OnePlus One, etc...) just to try them, but the above remained my daily drivers. Never owned a tablet. I just don't see the value. A low to mid range laptop is just as cheap, plus more powerful and flexible. Just my opinion. Personally, I don't see people replacing smartwatches every three years. I just don't think they're going to add enough I that time to make the currently owned model seem dated. We will see. Apple devices with stood the test of time better. Just check out apple devices vs android ones 3 years later. The iPhone 5 still feels new and still decent compared with phones like one X xperia S or galaxy s3 If you bought a galaxy tab instead of the iPad 3 it would have been laggy, poor battery life and no update since like two years ago. Android fan bois will deny it but apple devices last longer with better software support. My Galaxy S3 was still perfect after 3 years. I only upgraded because I wanted a really big screen. Apple fanboys will deny it, but what you said is utter crap. Nokia 3310 -10 years and still strong mofo. Most of these phones you can go that long. Most people that visit this site get the itch for something new. 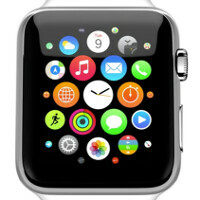 Due to the Apple Watch being a new product, I will update it for the first and second refresh. After that, it will definitely be every 3 years or so. I upgrade my phones once a year, my tablet once every 2 years, and I'm keeping my watches for 2-3 years.